9 years after The House of the Dead EX, Sega releases at last a HOTD game: The House of the Dead - Scarlet Dawn. The story takes place after the events of The House of the Dead 4 and the main characters are Ryan Taylor (James Taylor's brother) and Kate Green (already featured in The House of the Dead 4). There are 5 missions. The gamplay includes many features from the previous titles such as hostages and civilians to rescue (as in House of the Dead 1 & 2) and "save your partner" sequences as in House of the Dead III, well-know ennemies as The Chariot that is back in damaged form but with new attacks and branching paths prompted the same way as in The House of the Dead III. 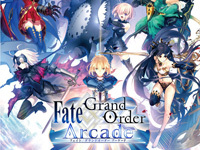 The game has two game modes: Normal and Master. In normal mode, different weapons are used for specific moments of the game. The Master mode is more difficult but you start with 2 weapons of your choice out of 6 (shotgun, flamethrower, grenade launcher, hand grenade, laser gun and rocket launcher). In the Japanese version, an Aime card is required to unlock the Master mode. The Aime card allows you to take part in nationwide ranking and win trophies. This new episode displays the largest crowds of zombies ever seen in a House of the Dead game, perfectly animated through Unreal Engine 4. The House of the Dead - Scarlet Dawn is playable in a theather cabinet featuring an air canon, 5.1 surround sound, and vibrating seats and floor. The game controller looks a bit like an Apache-SMG with recoil effect. It has two handles, a second trigger and a switch to change weapons. The controller uses an unique vibration technology producing realistric recoil feeling: by controlling the frequency to the vibration unit, the controller generates the right type of recoil that feels natural for the kind of weapon used in the game. The cabinet also features a button to lower the volume of explosions. 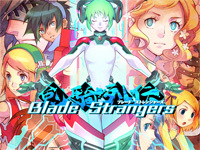 Sega also scheduled an occidental release in November! 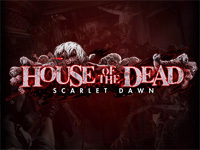 The House of the Dead - Scarlet Dawn will be present on Sega’s booth at IAAPA from 13th to 16th November. 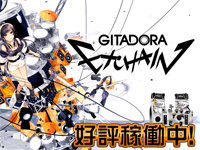 Konami started the operation of GITADORA EXCHAIN today. A new "Easy Assist Settings" feature allows the player to change the notes flowing speed, the number of uses buttons of GuitarFreaks and the Auto setting of DrumMania. 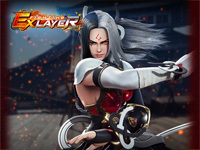 Moreover, Konami added the "design change" function: players can freely change the design of attack effect, judgment effect, notes... to enjoy playing with their own original production. 25 licenced songs and 25 Konami orginal songs have been added. 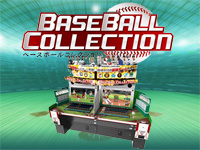 BASEBALL COLLECTION is a new card game that was presented by Konami at JAEPO in February. It is available in Japan today. The player uses real cards on a touch panel to manage his team. He can use various defensive and offensive instructions during the game. The teams in the game are real Japanese teams such as Fukuoka SoftBank Hawks, Tohoku Rakuten Golden Eagles and Hanshin Tigers. jubeat festo starts operation today. The game theme is festival with colorful graphics. 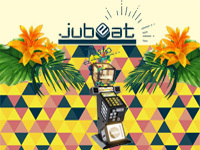 jubeat festo is the 10th work in the serie and it also celebrates the jubeat serie 10th anniversary. Many new songs are added and there are new features. When the player clear a song, the "jubility value" increases and if it exceeds a certain value, the player can enjoy the "festive mood". Furthermore, until now, "HARD MODE" which could be selected only with "EXPERT OPTION" has become available for selection at any time from the usual "OPTION" screen. 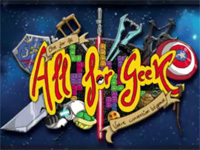 All 4 GEEK is a new convention that will be held at Adrien Herman Sports Complex in Esneux (Liège) this weekend. For two days, you'll be able to enjoy many stands and activities focused on several themes: video games, retrogaming, manga, japanisation, comics, series and movies. Arcade Belgium will be there with 10 original arcade games (as usual), these are: Sonic Wings 3, Altered Beast, The King of Fighters XIII Climax, TwinBee Yahhoo! Fushigi no Kuni de Dai Abare! !, Bomber Man, Virtua Tennis 2, Sega Tetris, Time Crisis II and Crazy Taxi. RYU GAMING organisera un tournoi Street Fighter II' and a VS gaming workshop. Many guests including famous voice actors (Eric Legrand and Céline Monsarrat, Brigitte Lecordier, Adeline Chetail), youtubers (Siphano, MagicKnup, Caljbeut) and cosplayers (Shunsuke Cosplay) will offer free signing sessions. A cosplay contest is also planned. The entrance fee is €10.00 at the door (€8.00 in presale), children under 10 years old attend for free. The doors open at 10:00 and close at 18:00. Bombergirl will hit Japan tomorrow. Based on the famous Bomberman series, this new version stages cute girls in a MOBA (Multiplayer Online Battle Arena) game. 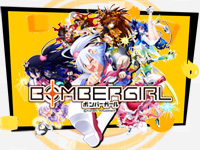 Bombergirl follows the basic rules of Bomberman but new features are implemented. The goal is to destroy enemy base by cooperating with teammates. Two teams (blue and red) of 4 players fight each other. Each team has a base in a corner of the screen and must destroy the opponent's base within the time limit. When a team attacks an enemy gate or tower with a bomb, the enemy's "force gauge" decreases, and when this is set to 0, the "detonation button" in the center of the control panel glows. By pushing it, the team sends large damages to the enemy base. 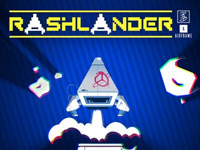 The team level increases by destroying some kind of blocks. According to the level, skills are unlocked. There are four types of characters: "bomber" who can place a lot of bombs, "blocker" who can create blocks, "shooter" who can do long range attacks and "attacker" who can move fast. Collaborations with other games are scheduled as Shiori Fujisaki from the dating game Tokimeki Memorial from Konami as a playable character.